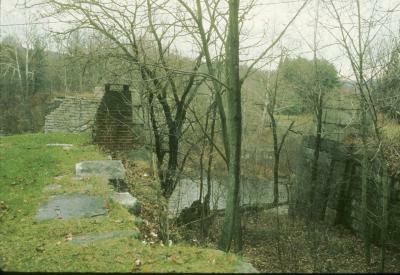 Example: Neversink Aqueduct from the Delaware and Hudson Canal site. The Industrial Archeology Image Archive arose in response to the challenge to make the Robert M. Vogel slide collection available to a wider audience for research or for the simple pleasure of viewing. The effort continues under the guidance of the Industrial Archaeology program at Michigan Technological University. The development team includes both Graduate and Undergraduate students, from both inside and outside the Industrial Archaeology program. The process of assembling this website involves an extensive research effort, and in such a massive undertaking errors are bound to occur. We hope to interest experts and knowledgeable enthusiasts to help with the task of editing and expanding the information provided. Robert Vogel photographed the primary collection included on this site, which contains thousands of images about the industries of the United States, Canada, Mexico, and England. We have identified these images according to their "Industry Types" such as transportation, mining, manufacturing, food processing, warehousing, general, materials, housing, and power. Within each "Industry Types" we have assigned a more specific industry. For example within transportation there are images related to railroads, canals, highways, rivers, oceans, aviation, aerial tramways, and conveyors. For complete lists of the types of sites, go to the "Search" page and choose one of the drop down menus. Or you could browse through sites by their industry from the "View" page where on the right you can view sites by industry.